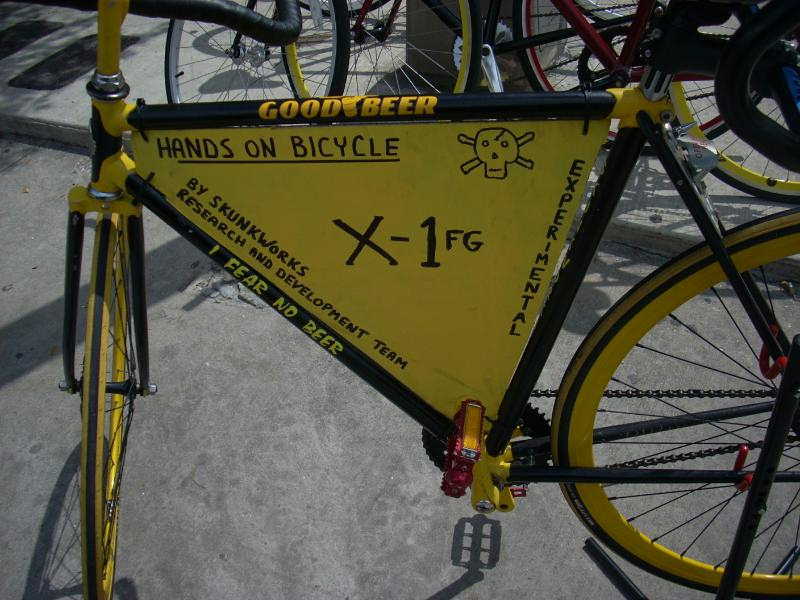 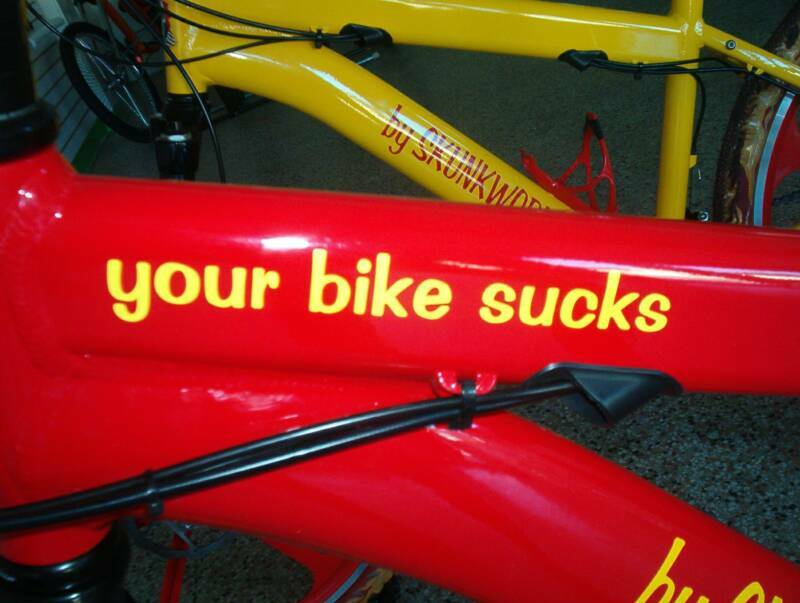 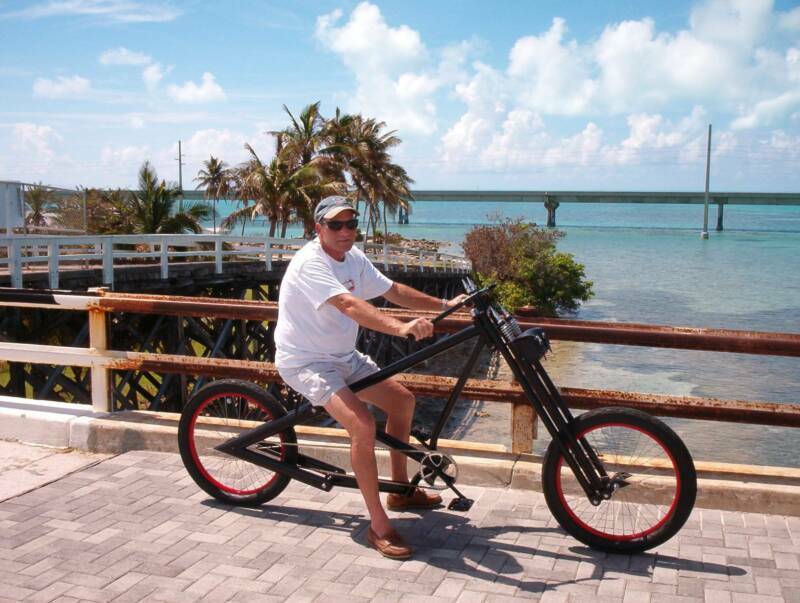 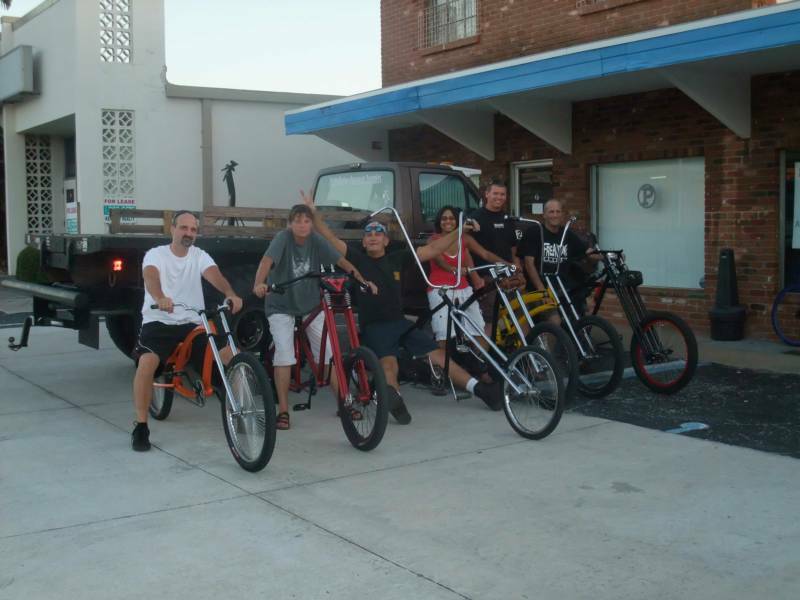 About Us: First we don't sell off the wall mass produced bicycles - let the other guys do that. 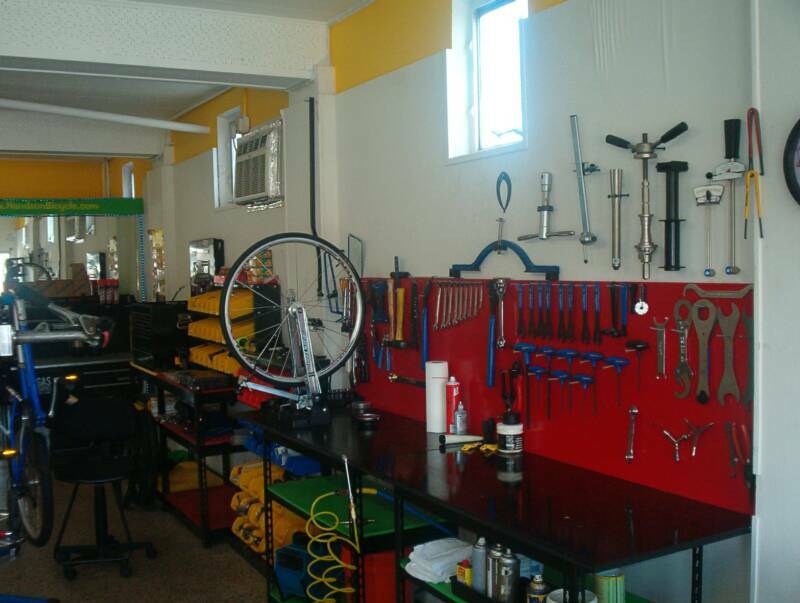 Hands On is a unique full service shop. 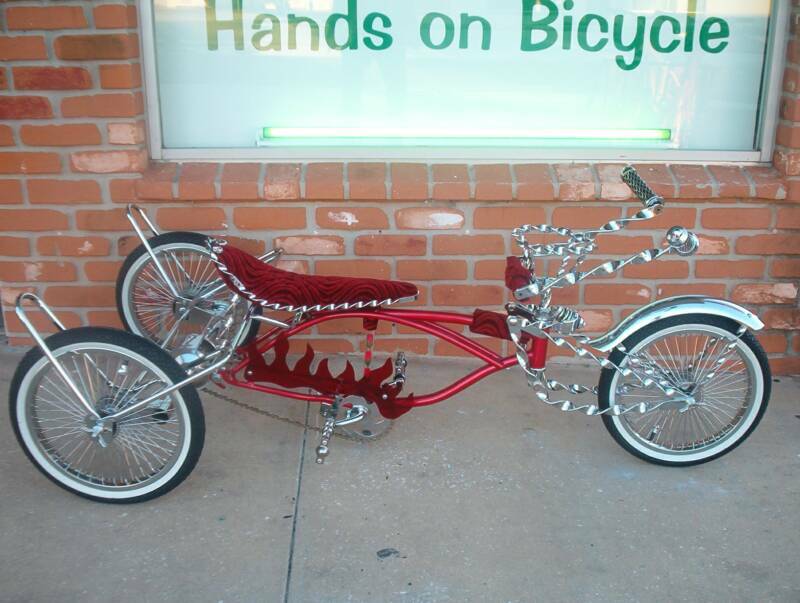 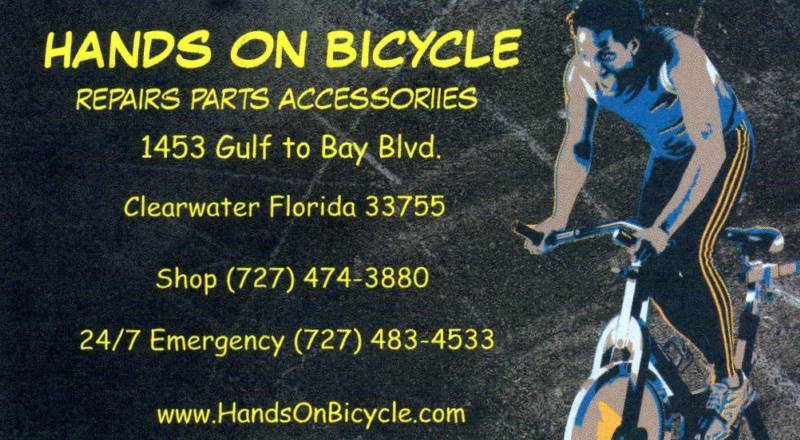 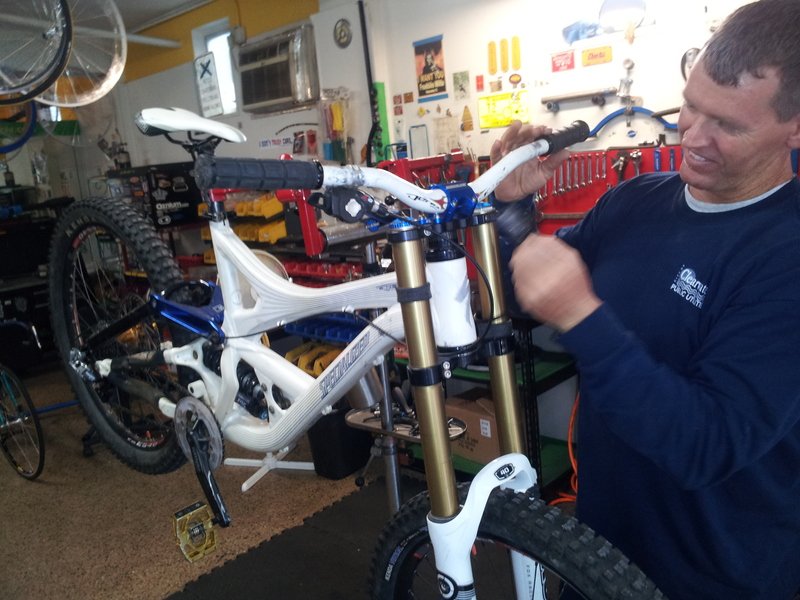 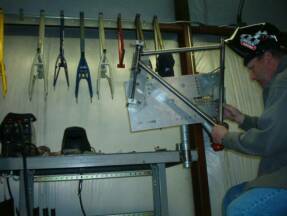 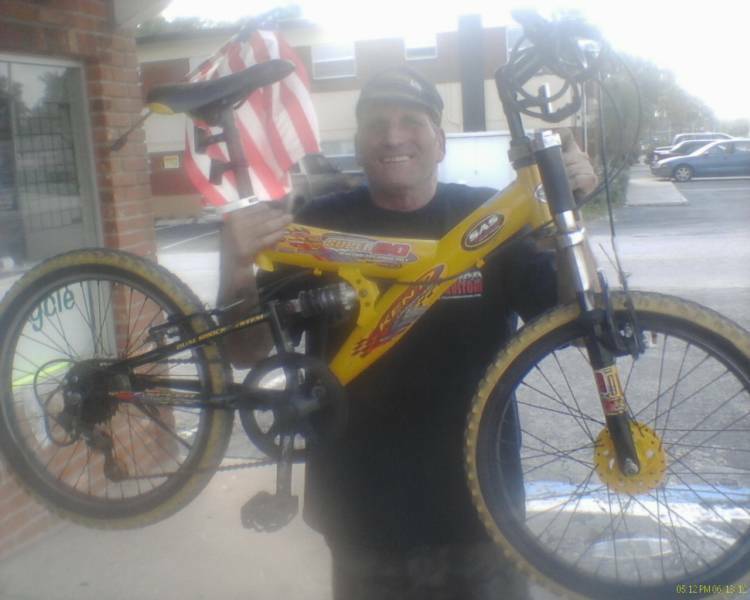 At Hands On, we are committed to doing the highest quality repairs and providing a place where customers feel comfortable learning how to build and maintain their own bike. 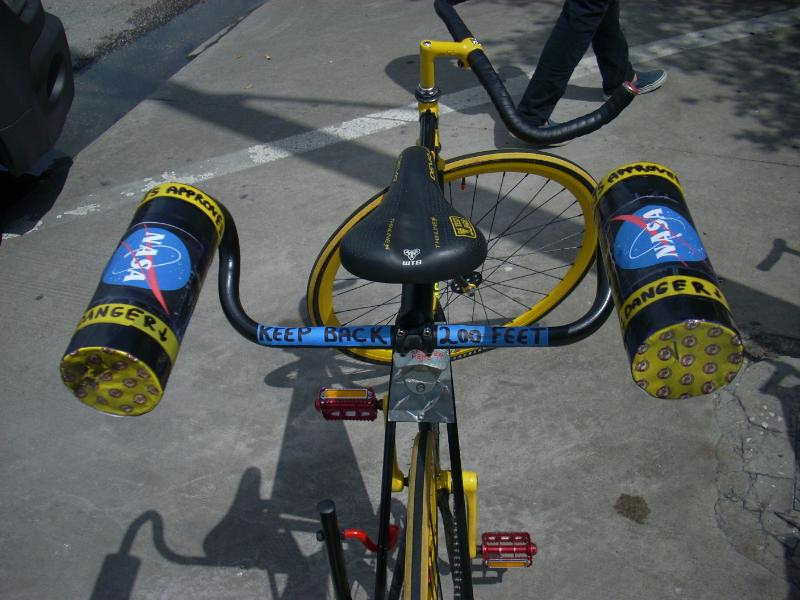 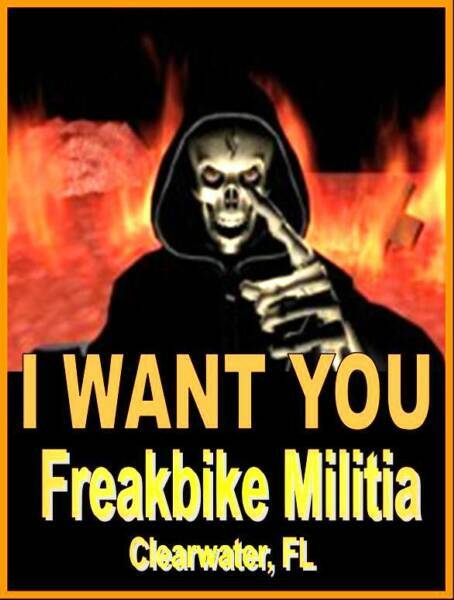 Bullet Says " Don't Buy It Build It "
Rocket Bike by Skunk Works! 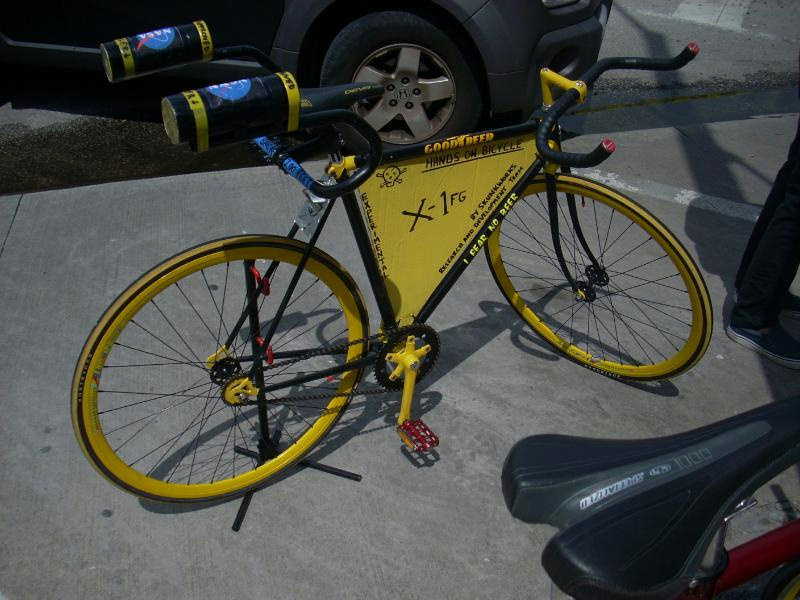 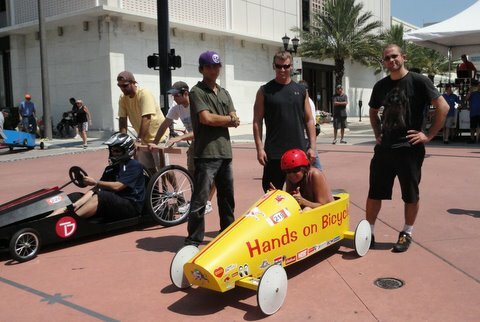 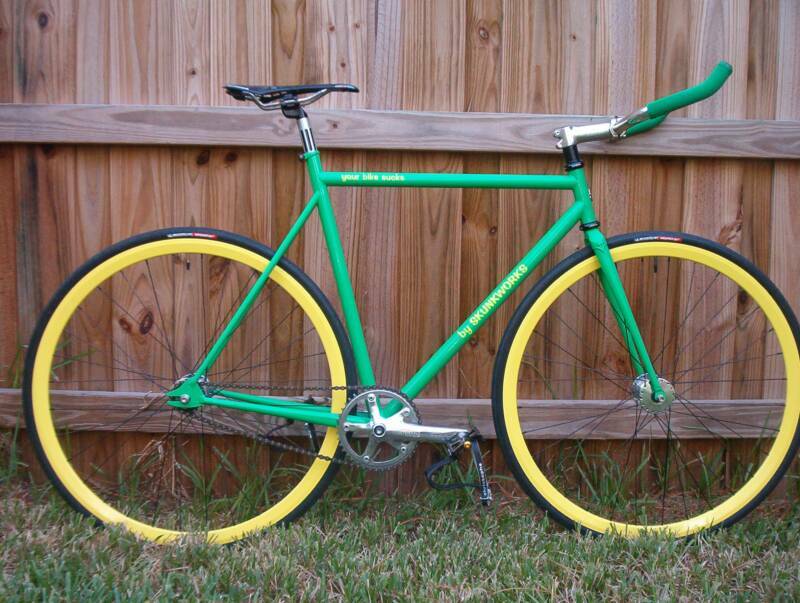 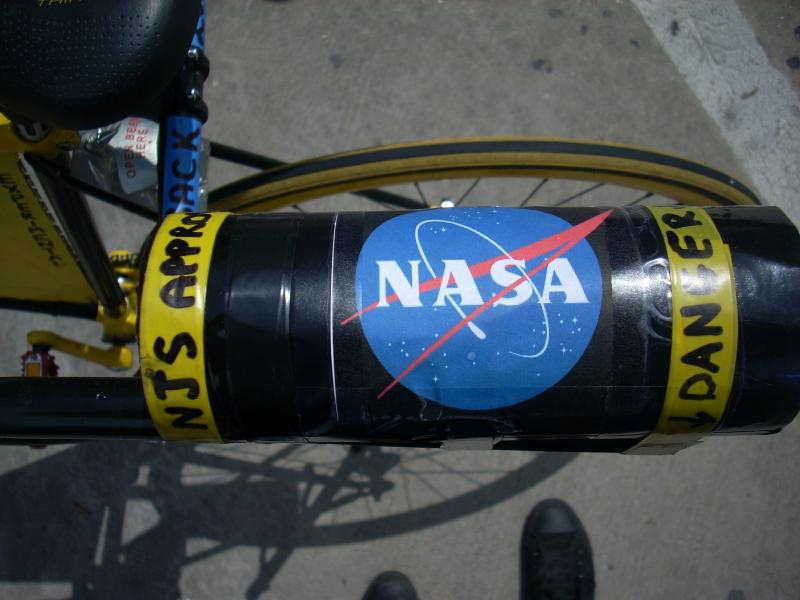 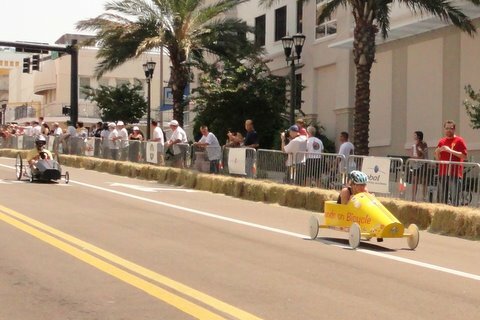 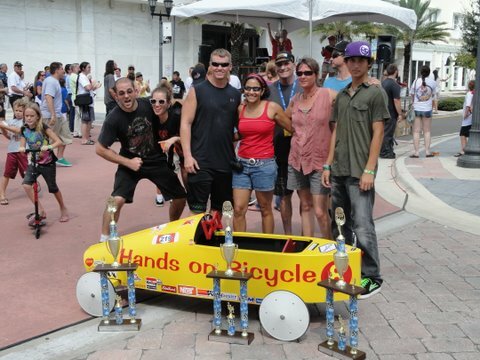 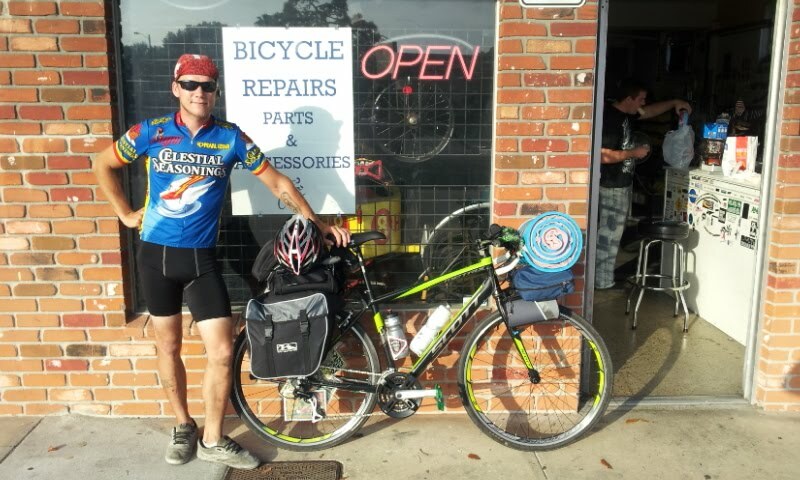 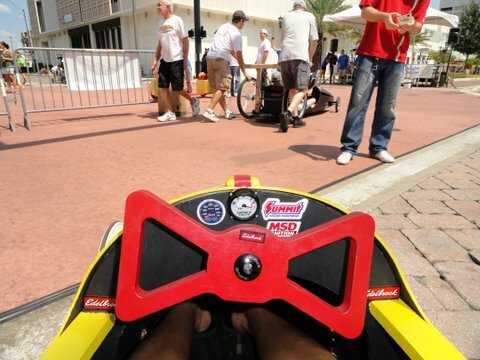 The rocket bike is a prototype built for Cycle De Soleil 2009 in Tampa's Davis Island. 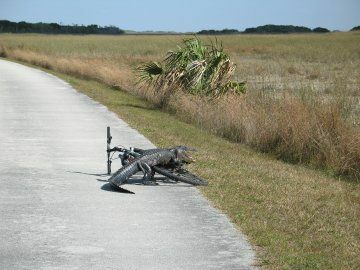 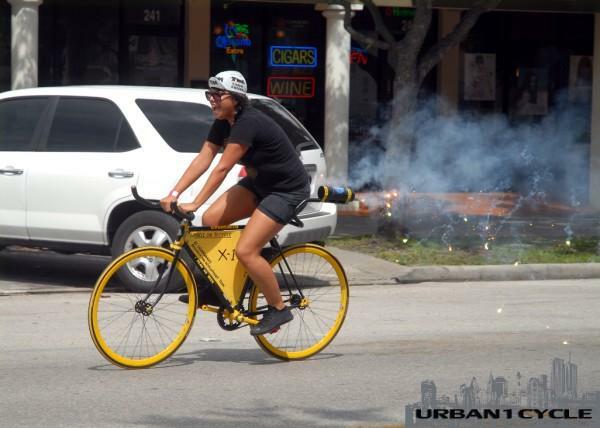 The test pilot, Miss Amada "I think we need a bigger boat" Perez, was brave enough to risk it all for the advance-ment of the bicycle/jet propulsion hybrids. 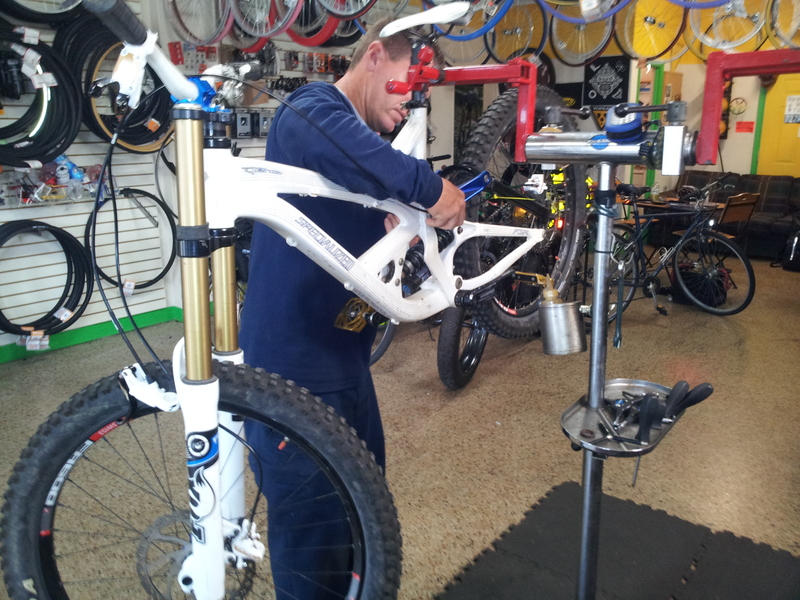 Botique shops are at least double our price!